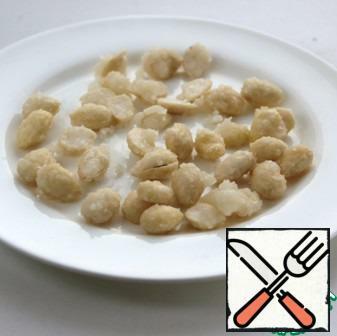 A handful of almonds pour hot water for 2 minutes and peel. 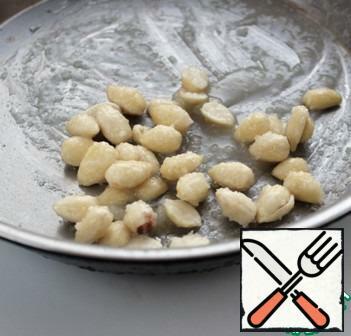 Heat in a saucepan the sugar with 1 tbsp of water to the state of a light caramel, remove from heat, add the almonds, a pinch of salt and stir. 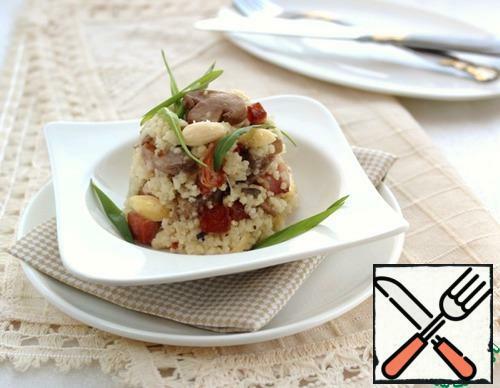 Put the almonds on a greased plate with vegetable oil, cool and chop. 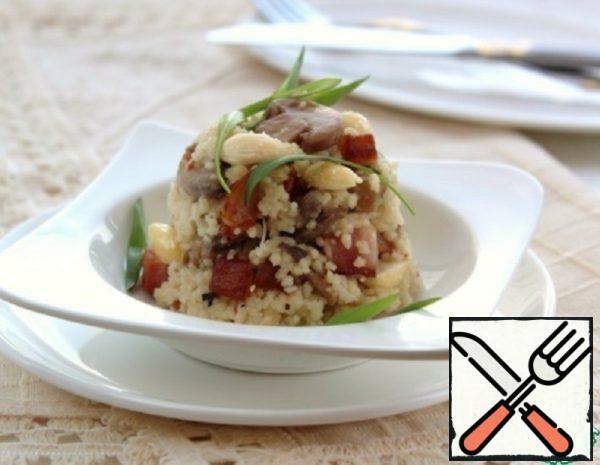 Dice the bacon and mushrooms. The mushrooms I had sliced and frozen. 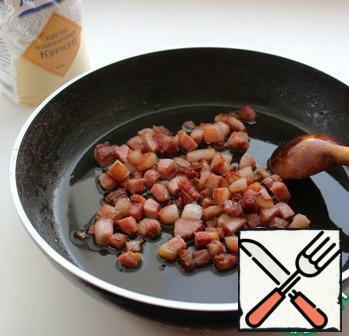 Heat 1 tbsp oil in a frying pan and fry the bacon in it until Golden brown. Bacon ready to pass on to the heated plate. 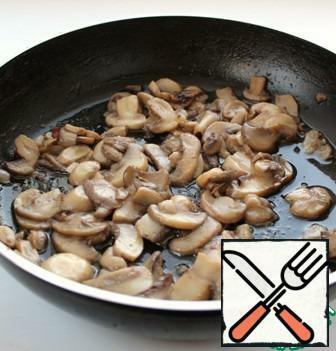 In the melted fat fry mushrooms, salt. 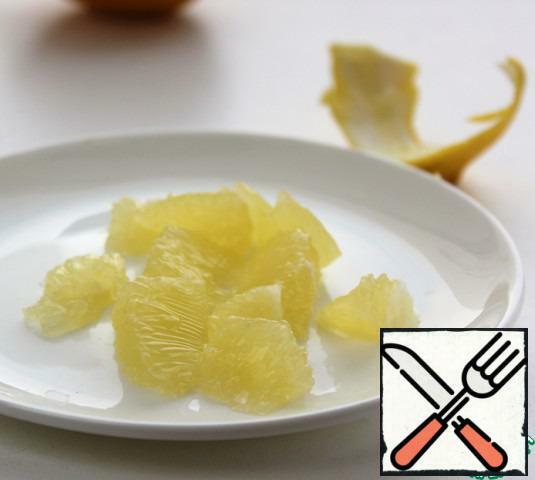 With a sharp knife, cut the peel from the lemon along with the white pulp, cut the pulp into slices between the films, chop coarsely. 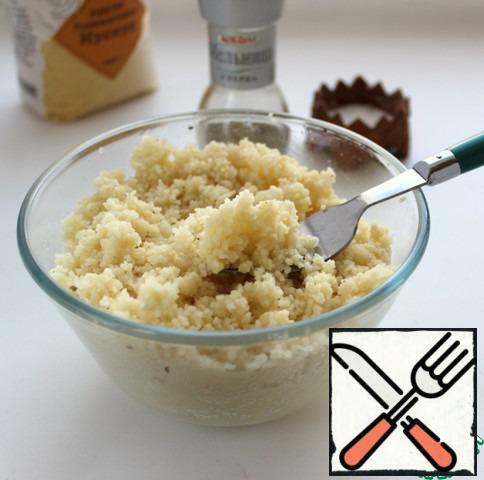 150 g couscous from Mistral pour 250 ml of hot water or broth, add a tablespoon of vegetable oil, cover and let stand. 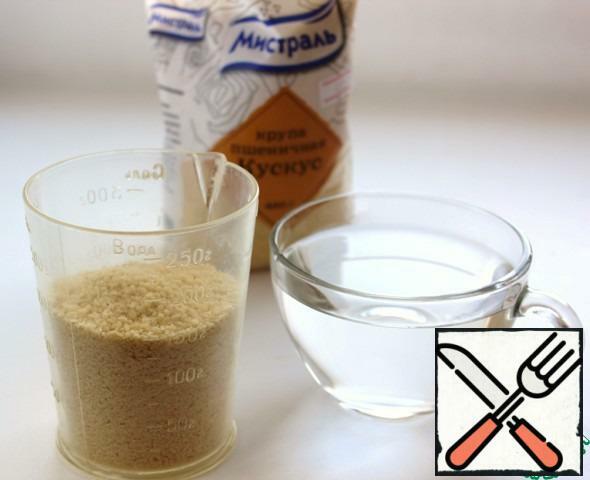 After 5 minutes, loosen the grits with a fork, salt and pepper to taste. 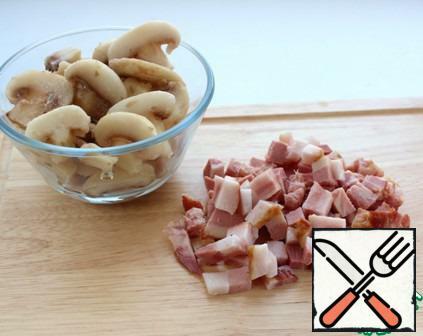 Mix with mushrooms, bacon, lemon, herbs. 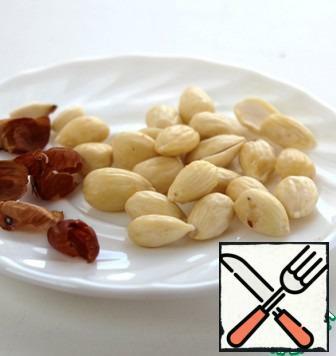 Beat 3 tbsp olive oil with lemon juice until smooth, season the salad, sprinkle almonds in caramel and serve.